I am a single mother myself. My son will be 17 next month. I am great with kids and kids tend to love me. 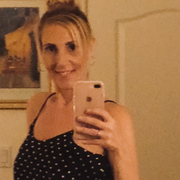 I am 38 years old have my own car and would love to be able to help out with your kids, housecleaning, cooking, whatever may need to be tended to. Richelle doesn't have any reviews yet.